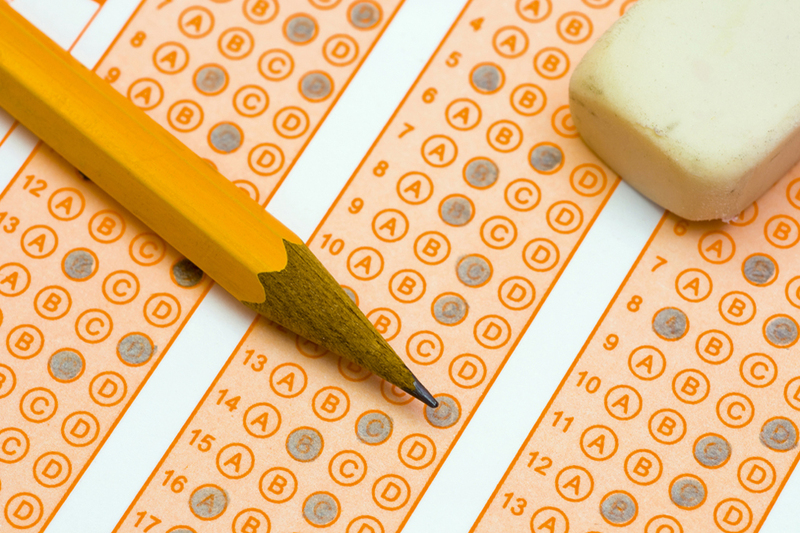 Maryland public school systems will weigh this summer whether to add more standardized testing for 11th grade students in an effort to conform to a new state law that kicks in during the 2015-2016 academic year. They face a choice of whether to add two Common Core-aligned tests to assess college and career readiness, or use scores from one of several already established college entrance exams like the SAT. It’s also possible students who take a college placement exam could be exempt from taking PARCC in school systems who elect to use it. “Local systems will have to identify by September/October if they will use PARCC tests or a different assessment for determination of college and career readiness,” said Maryland State Department of Education spokesman William Reinhard. A state law passed in 2013 requires all 11th graders be tested for college readiness in English language arts, literacy and mathematics by the end of 2015-2016 school year. “Each district will determine what test they will use,” said State Superintendent of Schools Lillian Lowery at the June 23 State Board of Education (SBOE) meeting. While the 2013 law calls for college placement scores to determine readiness, state education board members approved the use of the PARCC English 11 and PARCC Algebra II assessments — for students enrolled in those courses — last week. The board voted 8-0-2. Andrew Smarick, a Hogan appointee, and board member Larry Giammo abstained from voting. The 2016 state education budget includes $913,200 for the PARCC English 11 and $837,100 for the PARCC Algebra II assessments, totaling $1,750,300. If school systems choose not to use the PARCC tests, there will be no state funding to cover the alternate tests. The estimated PARCC test costs were based on all eligible students within the state. Any unused funding will be returned to the state education budget, Reinhard said. A spokesman from the Maryland State Education Association (MSEA), which represents 71,000 educators in Maryland, said they were happy the State Board gave county school systems a choice in using the PARCC assessments. “In too many instances, tests are mandated before their effectiveness is proven,” said MSEA spokesman Adam Mendelson. However, Mendelson also noted that educators were continuing to monitor the amount of testing taking place and will continue to fight for restoring time for more student learning. Students in school systems who choose to use the PARCC tests may still take the SAT or another college placement exam. Students taking the SAT, for example, could be exempted from taking the PARCC tests if they score at a certain level, said MSDE Deputy State Superintendent Dr. Jack Smith. “Indeed, it is likely that students interested in going to a four-year college will do this,” said MSDE spokesman William Reinhard. Last year, he said 41,620 out of 59,018 graduating seniors — about 70% — had taken the SAT in Maryland. State law does not require students to pass the exams in order to advance to the 12th grade. However, students who do not achieve the minimum scores will be required to enroll in a transition course in their senior year. PARCC English 9 and PARCC geometry tests were also approved for use in schools for students enrolled in those classes. The PARCC geometry test could replace the mandatory middle school math 8 test for middle school students taking geometry. Smith estimates some 5,000 middle school students take geometry. English 9 tests could be used by some school systems to gauge where a student is academically and make determinations for the future. It would not, however, replace any required tests, Smith said. The state education department budgeted $989,000 for the geometry test and $989,000 for the English 9 test. The state education department, however, does not expect that all school systems will use all four of the newly approved PARCC tests next year. “English 9, I would predict, maybe no one will use at all next year,” Smith said.